The marketing and communication team supports the division and its various service areas with marketing, communications, public relations, and event planning. It is also charged with ensuring that the division presents itself consistently and according to the university’s brand guidelines. Senior visual arts specialist – graphic design/photography/videography for division and service areas. Awards | Word doesn’t always make it to the marketing department when you’ve received an award or recognition. There is nothing wrong with tooting your own horn. Contact us with details of your award or honor so we can share it in our newsletter as well as the NC State Bulletin. Brand Guidelines | Campus Enterprises follows the NC State Brand Guidelines. We are happy to assist you with branded materials and templates. But if you want to learn more about brand guidelines, including color and typography, visit brand.ncsu.edu. Crisis Communication | During weather events or other situations affecting campus, all formal communication regarding operational matters is coordinated through Jennifer Gilmore. If your unit is affected, please direct any inquiries from outside departments or the news media to your direct supervisor, who will coordinate with Jennifer on an appropriate response. E-Newsletters | We aggregate a monthly newsletter for both Campus Enterprises employees and the general campus. If you would like to be added to the distribution list or have a story idea, email us. Nametags | For bulk, blank nametags, contact us. For personalized nametags, managers can contact Rich Lombardi. Please provide him with the Name, Title (if needed) and quantity. The current nametag in use is white with black and red lettering. If your department is still using silver, contact us for replacement tags. Promo Products and T-Shirts | If your unit is interested in ordering promotional products or non-uniform t-shirts, please consult your marketing manager, who can assist you with messaging and branding as well as ensuring your order is processed quickly through the trademark process. If you are unsure who to work with, contact us. Presentations | If you have been asked to make a presentation and need to create a slide deck, marketing and communication can help. You’ll need to consider whether or not you need to use a university template or one provided by a conference. Google slides offers a great tool for group editing, and you can easily import a template. We are here to make you look great, so contact us early to get started. Speaking to the Media | Campus Enterprises recognizes the responsibility of the news media to provide accurate and timely information to the NC State community, industry and institutional peers, and the general public. To help facilitate media requests and ensure that our response is consistent, accurate, fair and timely, we ask that all Campus Enterprises employees who are contacted by the media — including student media — direct all inquiries to Jennifer Gilmore. She will determine who is the best person to respond and offer media coaching as needed. Uniforms | Each department is responsible for uniform standards and ordering. Please consult your supervisor for assistance. 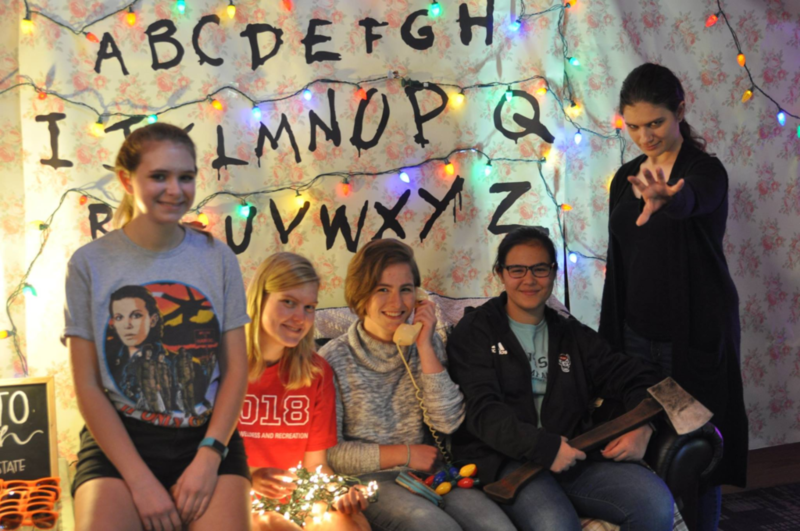 Things got a little spooky at NC State as students enjoyed our second annual Stranger State dinner. Decor and food were all themed after memorable moments from the popular Netflix show, Stranger Things. 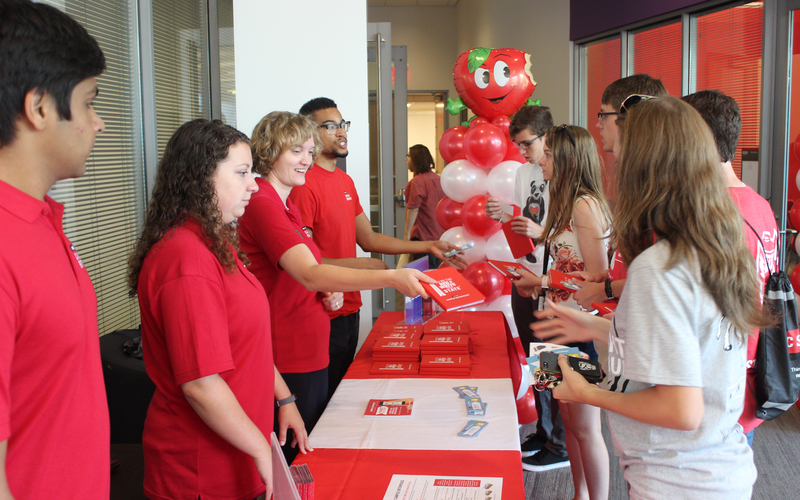 Learn more about “Meal Plan Mania,” where students come to learn meal plan tips and tricks, speak with our nutrition team, try samples of Howling Cow ice cream, and walk away with free giveaways.